Dr. Mithani received his undergraduate medical degree M.B.B.S from The Aga Khan University Medical College, Karachi. He completed his internship and General Surgery training from Aga Khan University Hospital, and subsequent residency and fellowship in Urology at The Kidney Center (PGTI). Upon completion of his urology residency and post graduate training, he qualified as fellow (FCPS Urology) from College of Physician and Surgeon Pakistan. Subsequently, he also acquired European Fellowship in Urology (FEBU). Dr. Mithani is an expert in Adult Urology in general as well as Nephrolithiasis (Kidney Stone disease), prostate and male factor infertility. He has extensive experience in Endourology for Uretroscopy and Percutenoues Nephrolothotomy (PCNL). He has also worked in the area of lower genitourinary tract Cancers, Testicular Cancer, erectile dysfunction. In stone surgery, Dr. Mithani was among pioneers who introduced TUBLESS PCNL in Pakistan. He has also developed management approaches to improve postoperative functional outcomes following all surgical procedure. Patient’s education about the disease and postoperative care is his major emphasis on clinical ground. For his clinical performance he was awarded Outstanding Performance Award by the King Faisal Specialist Hospital, Jeddah in 2014-15. Dr. Mithani worked on Basic and Clinical research. Many of his original peer-reviewed articles have published in international journals including American Journal of Urology, Journal of Endo Urology and Journal of Pakistan Medical Association. He presented his work in Local and International conferences. 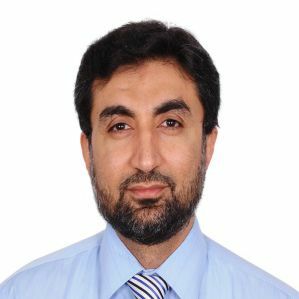 His work was also recognized with “First Prize out of 45 entries, in the Research Day held by department of surgery at King Abdul Aziz Medical City, Riyadh in 2011”. He has been part of various advisory committees including the Urology Study Section, Residents Training and Community Services. He is also working to develop easy access of the health care related information specially focused on Urology diseases for General population.